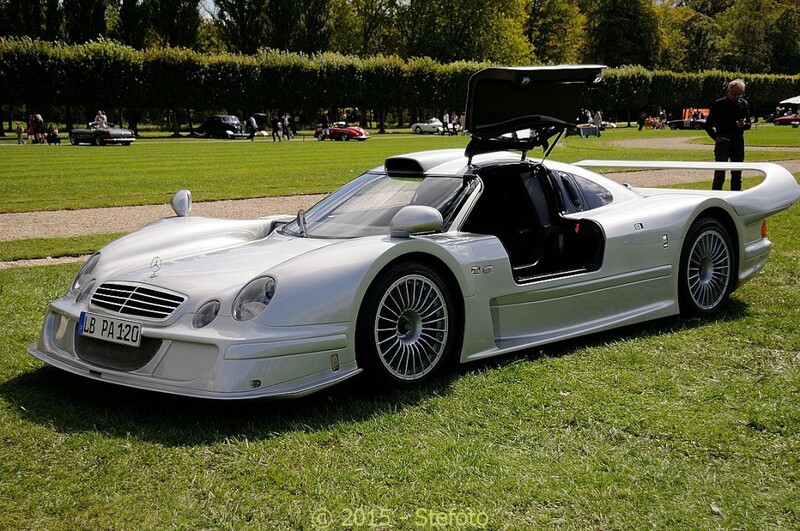 In the world of crazy street cars, there are few that can quite match the insanity of the Mercedes-Benz CLK LM. 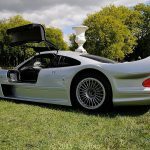 Build around the race-winning endurance racer, just 1 road-going example of the CLK LM was produced and it was recently displayed at the Chantilly Arts & Elegance Richard Mille 2015 on Sunday. The car was originally produced by the German manufacturer to meet homologation standards for its entrance into the FIA GT Championship. 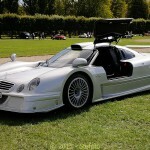 Unlike the GTR variant, the CLK LM utilized a V8 that produced almost the same power as the V12 in the CLK GTR due to its larger restrictors. 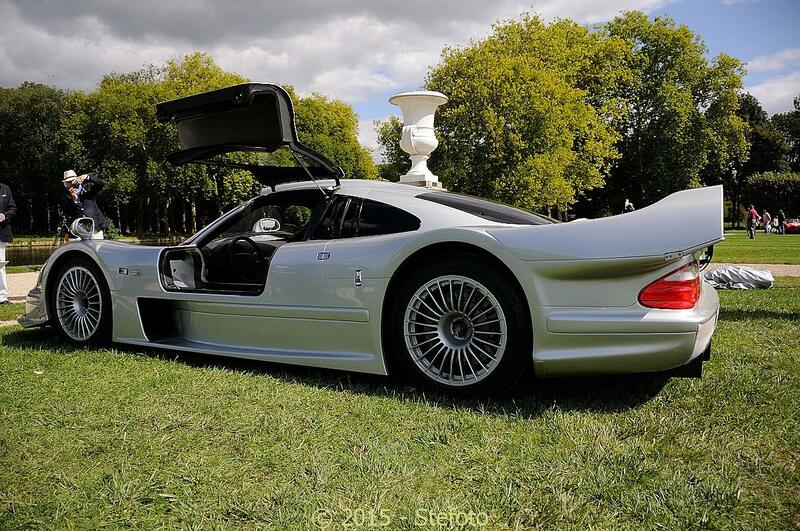 Visually, the CLK LM is almost identical to the race car with the swooping rear wing perhaps the most notable visual and aerodynamic change.